Spend a few minutes checking in with each of your five senses. What do you see, hear, taste, touch and smell? Repeat this exercise as often as needed. Also, eat healthy, nourishing foods, exercise regularly, get enough sleep (7–9 hours each day), drink more water than caffeine, stay positive and remind yourself that you cannot control everything. 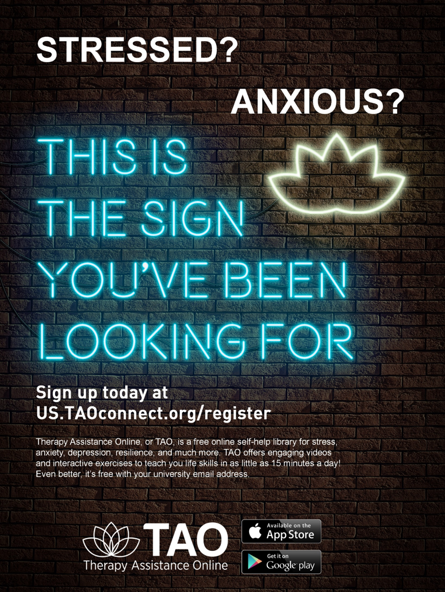 See more great ways to cope with anxiety from the Anxiety and Depression Association of America. Symptoms of a panic attack can include shortness of breath, sweating and feeling disoriented. 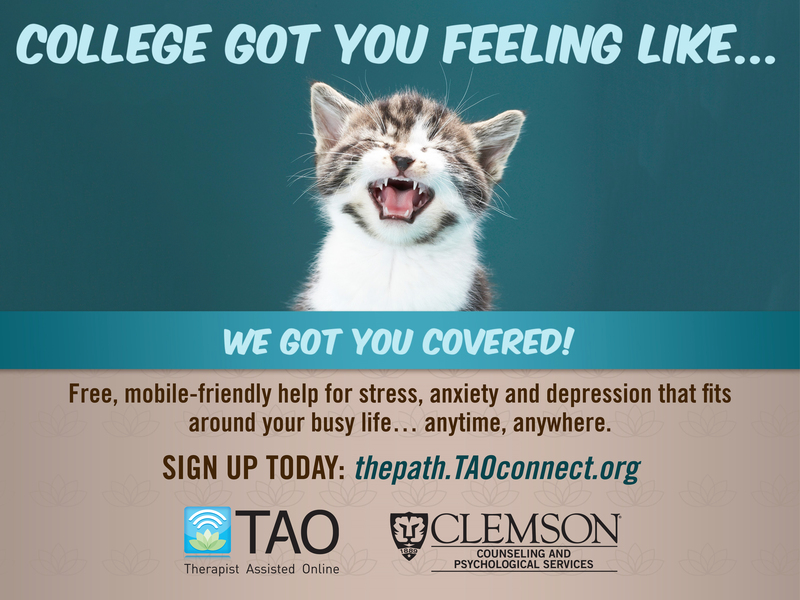 Affects 15 million adults in the U.S.
FAQs: Do you have questions about CARE Reports, dropping a class or withdrawing, or advocates on campus?